Rust, Germany 28th of March 2019 - Boston and Asperitas have taken their partnership, announced at CloudFest 2018, to another level with the introduction of four plug and play solutions for cloud and compute for CPU and GPU workloads. The solutions are optimized for different purposes, ranging from generic platforms with full stack support and extensive integrated storage, to high density compute and GPU compute applications. All solutions are designed and optimized for synergy between server systems and the unique Immersed Computing® technology concept for optimal performance. Two of the four solutions are developed around high performance AMD® EPYC™ 7000 series CPU’s. The Fenway AIC24-DSI is offering an ideal platform for generic purposes and cloud with 1536 compute cores, 48TB of memory and up to 960TB integrated storage units. The second AMD® EPYC™based solution, the Fenway AIC24-DST, offers a high density compute platform, with 3072 compute cores, 96TB memory and 768TB integrated storage units - ideal for HPC users requiring high density and performance. The ANNA AIC24 solution is an Intel® and NVIDIA® based solution developed for high density compute applications with GPU workloads, offering 1056 CPU cores and up to 331.776 CUDA cores on the 72 integrated GPUs originally developed for HPC users, as the demand grows for GPU both in the cloud and on premise, it is an attractive choice for service providers and enterprise. The last solution presented at CloudFest is the Fenway AIC24-DDW; a multi-purpose solution for cloud platforms including a high amount of integrated storage up to 960 TB and 1056 compute cores. cloud service providers, enterprise and high performance computing, optimized for Immersed Computing® so they can be warm water cooled. Each solution offers a wide range of flexibility in terms of deployment. Solutions are available as fully contained stand-alone systems for enterprise, through to large scale and mixed purpose data center deployments in any climate. 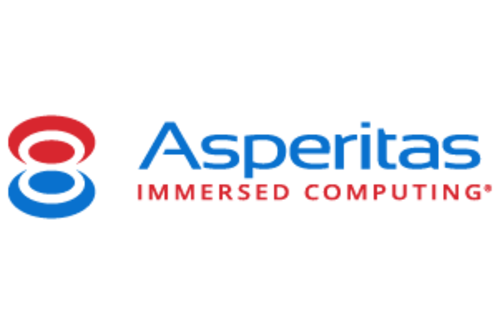 These solutions benefit from the full potential of Asperitas liquid cooled Immersed Computing® technology, offering solutions without noise, without overhead energy and allowing for a potential continuous performance boost of up to 40% more CPU performance compared to air chilled solutions. Last but not least, each system can be utilized for heat reuse using water from warm water cooling technology. Maikel Bouricius, Marketing Manager at Asperitas during the keynote session at CloudFest said: “Immersion cooling is not a goal for our customers, our customers have goals for their compute and cloud platforms and their business. Immersed Computing® is a means to enable achieving these goals by cutting datacenter service costs, accelerate operations, allowing for high performance applications and offering flexibility to reach for all business opportunities. What we bring to the market today are solutions supporting those goals powered by the highest quality server solution expertise of Boston and award winning clean technology developed by Asperitas”. Manoj Nayee, Managing Director of Boston Limited adds; "Together Asperitas and Boston are disrupting both the perception and the actual technology of Immersed Computing®; for the benefit of both the environment and the bottom line. According to the Supermicro® "Data Centers and the Environment" white paper; datacentres account for 3% of the global electricity supply and contribute 2% of the total global greenhouse emissions. We believe that not only do we have an environmental responsibility to the world, we have a corporate one to ensure that our solutions also effectively address the needs of our customers technology requirements. The Boston/Asperitas collaboration has already resulted in a number of industry-ready solutions with more to be announced soon." expect to present a high density GPU compute solution for AI applications later this year which should allow AI developers and driven companies to deploy a super high density GPU compute solution without having the need to upgrade or even have a datacenter to facilitate it. Boston Limited has been providing cutting edge technology since 1992 using Supermicro® building blocks. Our high performance, mission-critical server and storage solutions can be tailored for each specific client, helping you to create the ideal solution. Since its founding in London, UK, Boston has expanded operations globally. 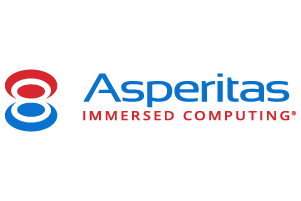 Asperitas is a clean and high-tech company from the Netherlands, developers of award-winning Immersed Computing® technology solutions. The Asperitas mission is to enable sustainable and high performing datacenters for emerging digital technologies anywhere they are needed, with Immersed Computing®. Asperitas is known for their engineering focus on reliability, security and efficiency. This press release was distributed by ResponseSource Press Release Wire on behalf of Boston in the following categories: Consumer Technology, Business & Finance, Computing & Telecoms, for more information visit https://pressreleasewire.responsesource.com/about. Leaders in high performance technologies in the HPC, enterprise and broadcast marketplace.